In business since 1973, Pickett’s Paving has been providing the Southern Wisconsin area, with the highest quality product and expertise when it comes to all your Commercial paving needs. Our knowledgeable professionals are equipped with the latest equipment and experience to ensure your job is done fast and perfect the first time. 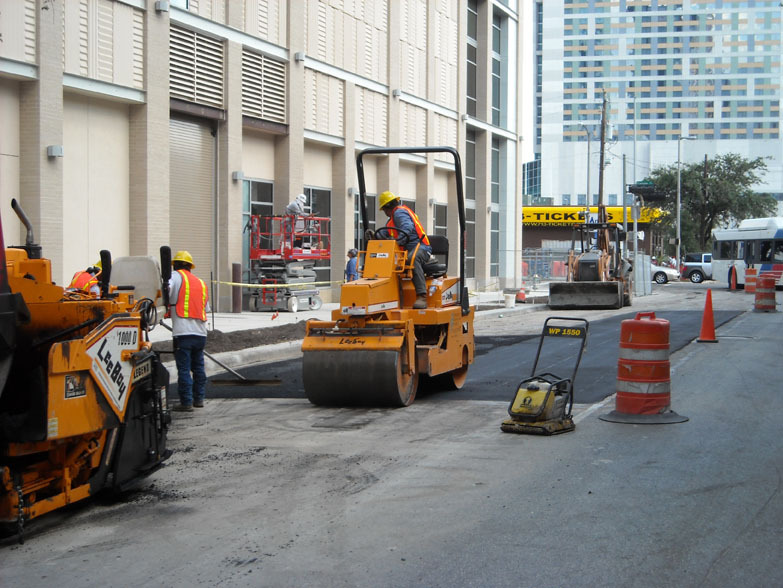 Our Project Manager will coordinate and schedule your paving project to ensure you are able to conduct business as usual. At Pickett’s Paving we know how important it is to have your business looking its BEST! We offer preventative maintenance, which in turn will reduce costs in the future. Our preventive maintenance includes: Seal coating, crack filling and remove & replace. We are also ADA compliant and will take care of all your safety needs. Our skilled contractors will install speed bumps, handicap ramps, wheel stops, striping and directional signage. With Pickett’s Paving quality workmanship and competitive prices we look forward to enhancing your business.